Nearly 95 percent of recruiters currently use or are planning to use social media for their recruiting efforts to better assess a candidate for their personality, experience, skills set and cultural fit. It’d be wise to implement social media recruiting strategies into your hiring process if you haven’t already. However, before diving into the world of social media, it’s best to familiarize yourself with the legalities of recruiting in this digital space. Printing or saving screen shots of anything they come across on a candidate’s social media profile that makes them question his or her candor and professionalism. You can find a lot of lawful information about a candidate from their social media accounts like Twitter and Facebook. However, this kind of information shouldn’t be used to make your final hiring decision. Melanie Berkowitz of Monster advises that you use it instead as an extension of a resume and conversation starter to gain a better understanding of a candidate. This will be especially useful if you are hiring for positions that require familiarity with social media. You are not obligated to have a job applicant sign a waiver giving you permission to review their social media accounts. Even so, it is a best practice to give them notice that you will be reviewing any and all of their public profiles online. 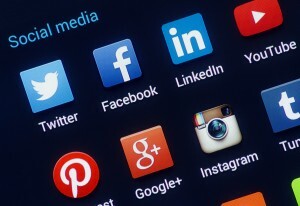 You should also be mindful of your company’s own social media accounts. Just as you are reviewing candidates’ profiles, they are also researching your website and looking into your social media presence for a glimpse of what it may be like to work at your company. Candidates may even try to identify the people that could possibly interview them. Avoid making any statements that could be misunderstood as a guarantee of employment or business opportunity; most especially if the website is “live” and features employees comments or blog postings. Saying things like, “This is a great place to work,” is acceptable, but promising that all applicants will be hired is definitely not. Be aware of who in your company has access to social media accounts and can add to or change content. Social media recruiting can bring many benefits to your company, but implementing the technology without considering all of the above can lead to consequences. Taking the time to thoroughly learn about the legalities of this technology will help you to ensure few challenges along the way to making great hires.